We’ve written about blistering and peeling paint before. Not only is it ugly, but it also means that there is something going on with your home’s paint. While age can make an exterior paint job look less than its best, bubbling, flaking and other problems that can occur very soon after a fresh exterior paint job can have their roots in neglect, abuse, weather damage, moisture damage – or it might just be that the exterior painting company that applied the paint didn’t do a quality job. Let’s take a look at exactly what paint failure is and means, and then we’ll give you some solutions that can help you avoid paint failure in the future. You can chalk up chalky paint to oxidation that comes with sun exposure and age but bubbling? That means you’ve got a problem that’s probably going to get worse if left untreated. The same goes for blistering and flaking and peeling, because once a gap has formed between paint and the wood, metal, or vinyl it’s been applied to there is every chance in the world that the paint will continue to separate. That is paint failure in a nutshell. Once it starts, it has to be nipped in the bud and fast. Unless you can take a microscope to your exterior paint it can be hard to see precisely what’s happening, but you can get a general idea of what the problem is by using your eyes. Can you see any water stains? Or even actual water seeping around and under paint? Signs of moisture point toward damage caused by leaking water, rain, humidity, melting ice (welcome to Massachusetts! ), or condensation. Even the changes in humidity caused by moisture levels in the air inside a home can lead to paint failure when water diffuses through the walls. Have bubbles formed under fresh paint? Rapid changes in temperature after a paint job can lead to blistering, as can the rays of the summer sun boosting the temperature of a freshly painted wall. 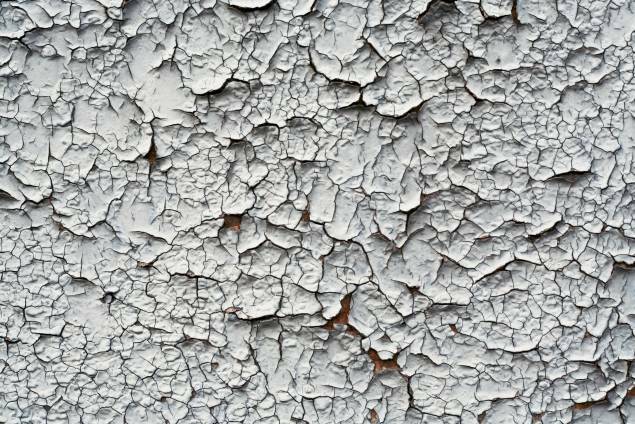 Peeling and cracking of very new paint – or even exterior paint that’s a year old – can indicate a weak bond. Was the siding properly primed? Was the weathered paint adequately stripped? If you see what’s known as cross-grain cracking, it means that the underlying coats have built up to a thickness that interferes with the bond. Poor prep can be a killer when it comes to the lifespan of exterior paint. Paint failure can be remedied in a few ways. When the problem is chronic moisture issues, those will have to be addressed before repainting or paint failure will be inevitable. That can mean anything from finding the source of a leak to replacing siding completely. For other problems, repainting is usually the only solution – but proper preparation is key. Loose paint and debris must be removed, primer needs to be applied in sufficient amounts, and paint should be applied in the most optimal conditions. From there, all the remains is to keep an eye on your home’s paint. Paint failure happens but if you catch it early you can do something about it before it gets to the point where only a full-on exterior paint job can fix it. At Jerry Enos Painting, we know the right products for the job. 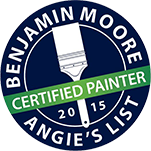 Every Massachusetts exterior painting and interior painting project is different, and unlike other MA exterior painting companies, we will always treat your house, building, or surface as one-of-a-kind. Call us for a free estimate at 978-546-6843.